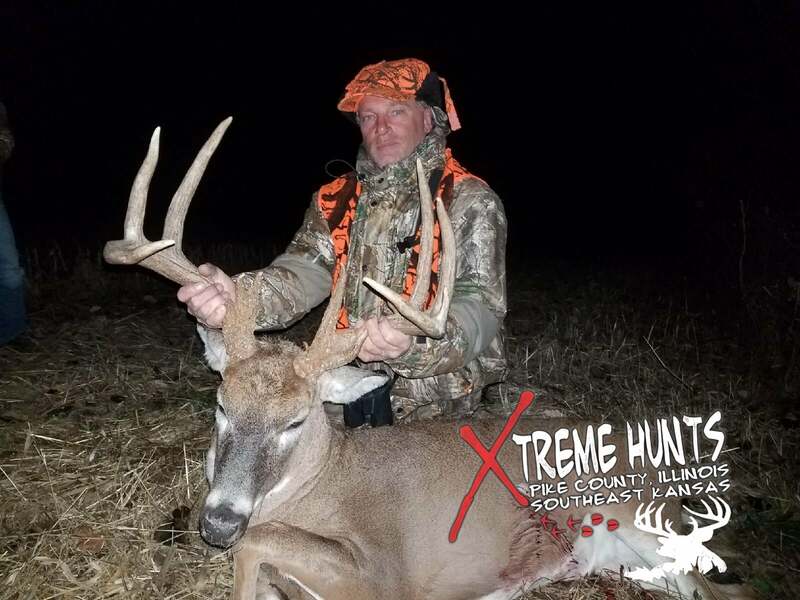 Xtreme Hunts has been in the business of guiding Illinois trophy whitetail deer and turkey hunts as a licensed outfitter since 2003. 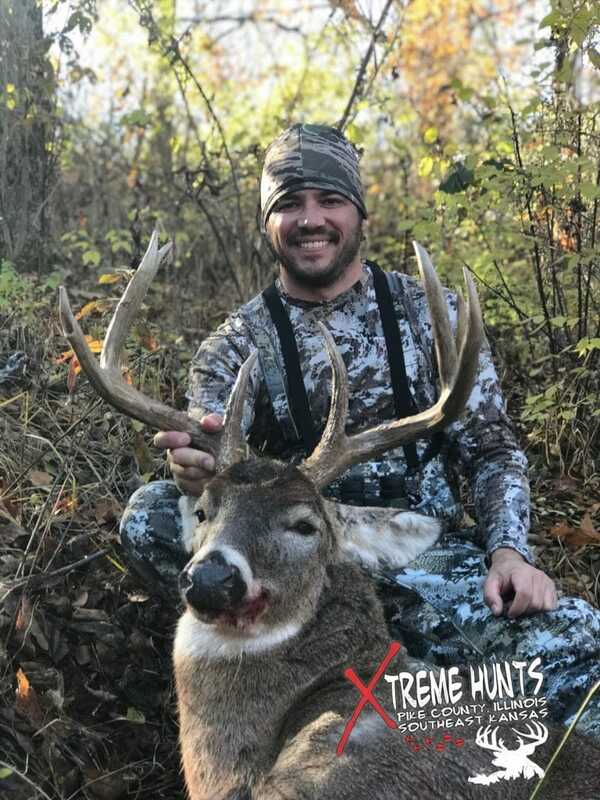 Archery Hunts in Illinois and Kansas are typically 5 day bow hunts and we also offer 3 and 4 day firearm hunts in Illinois and 5 day firearm hunts in Kansas hunts are fully guide with meals and lodging. 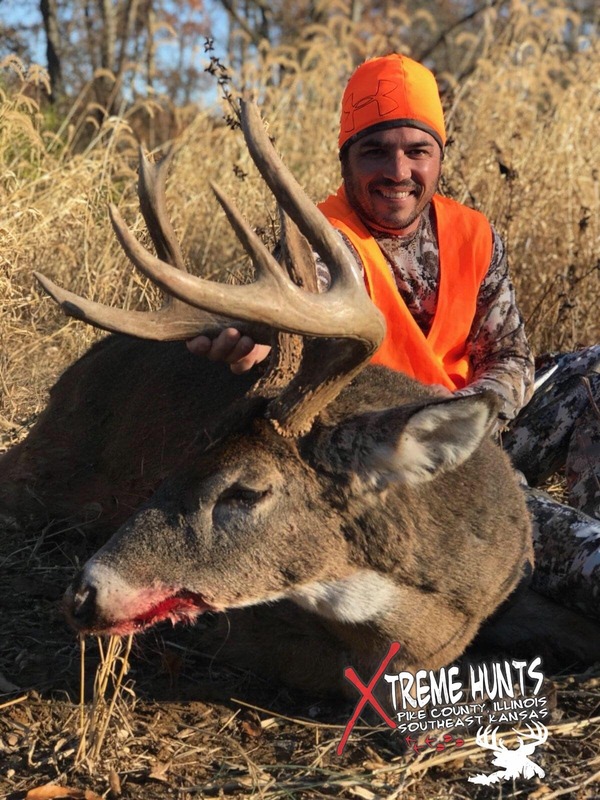 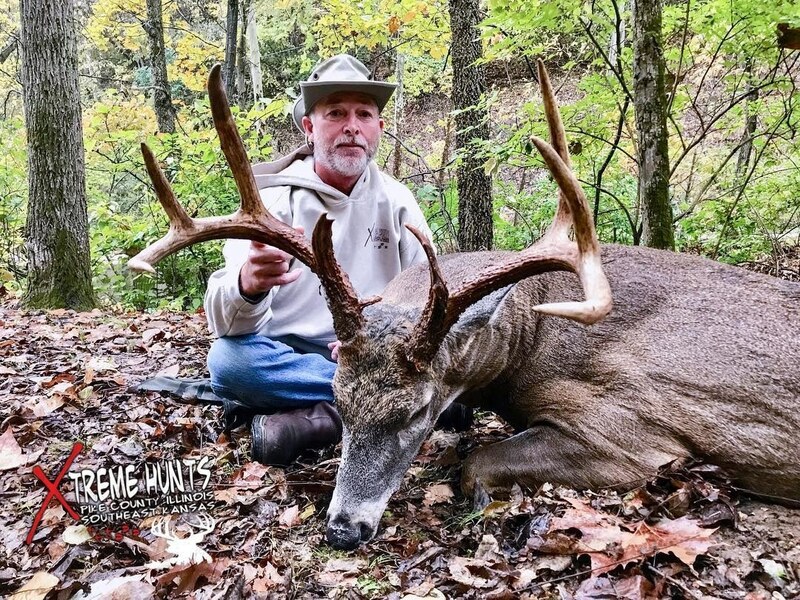 Xtreme Hunts has also expanded their hunting properties to include Kansas Unit 11 located in Bourbon and Crawford counties in southeast Kansas. 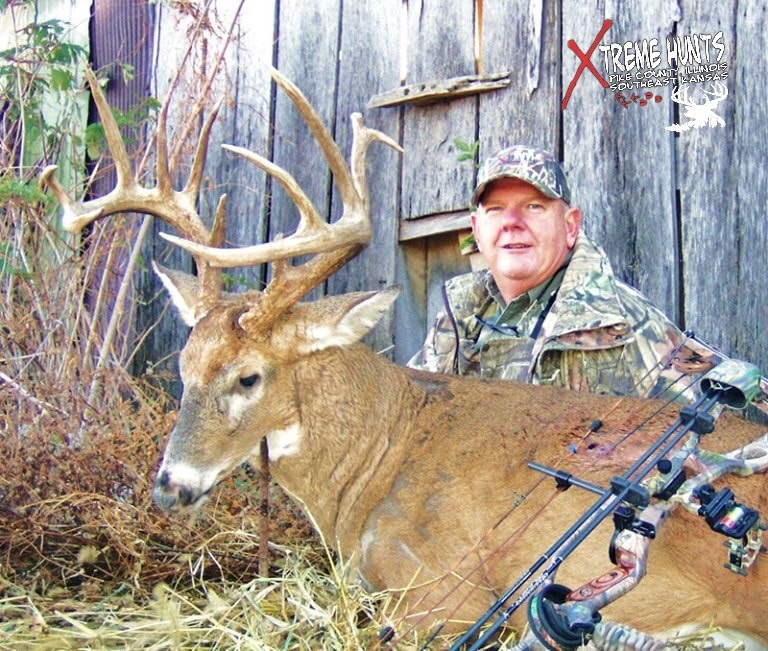 Bourbon and Crawford counties are two of the finest deer hunting counties that Kansas has to offer. 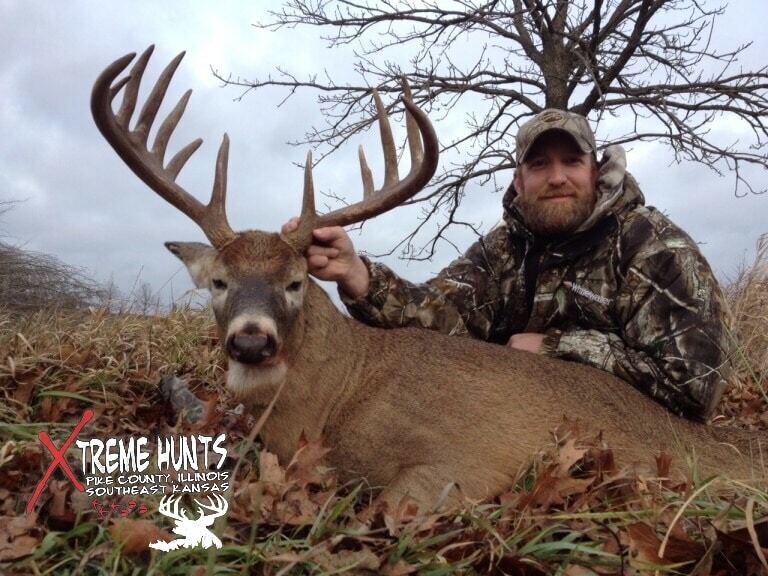 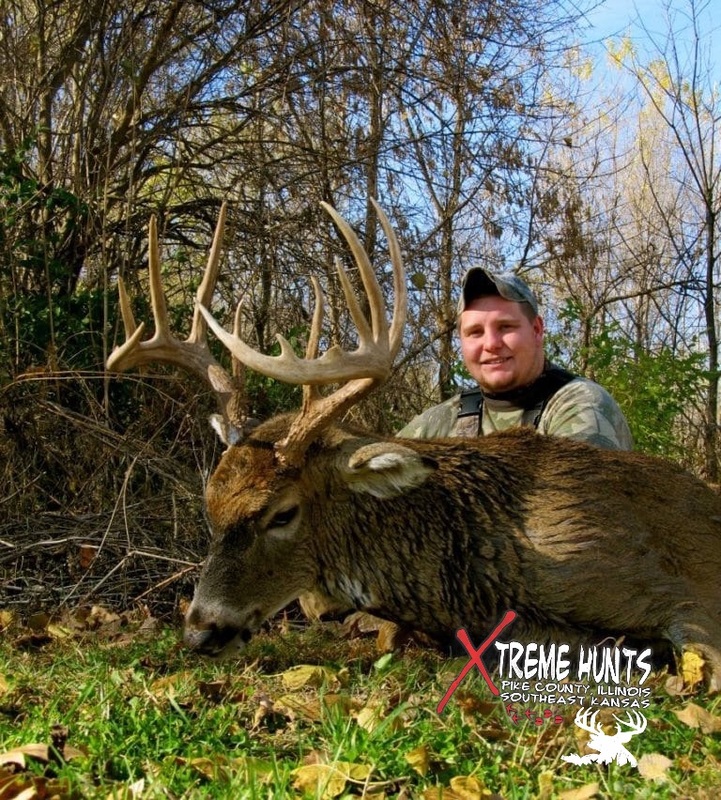 Xtreme Hunts offers Kansas Whitetail Deer Hunts, specializes in world-class trophy whitetail hunts. 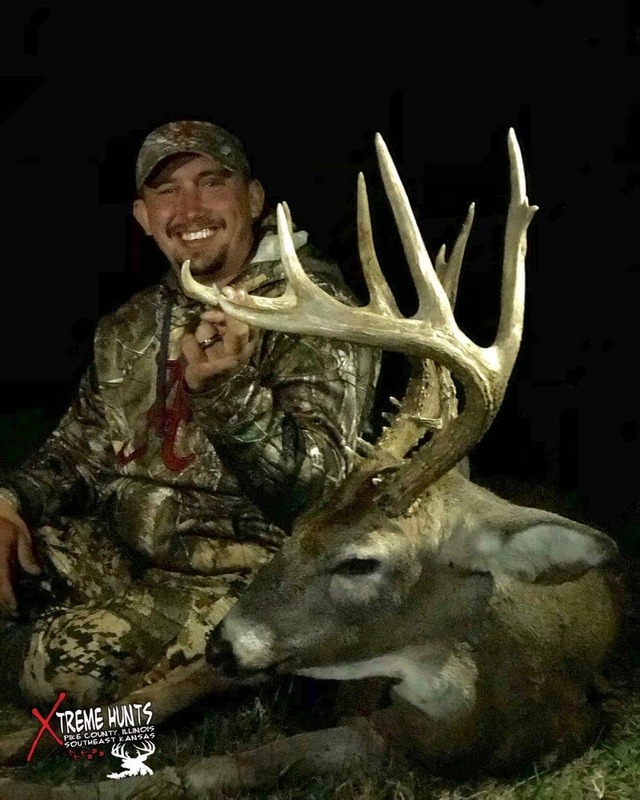 Kansas is fast becoming the most sought after state for big Trophy Whitetails. 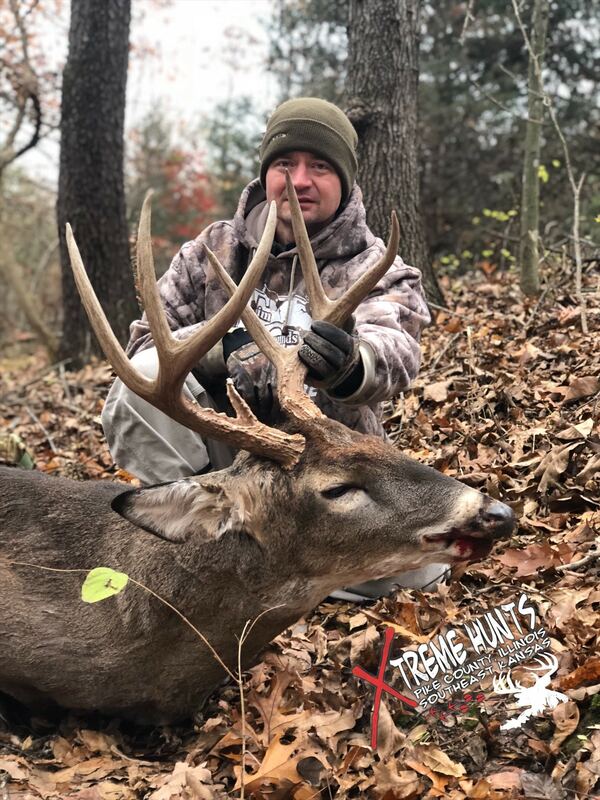 We offer fully guided hunts in both Illinois and Kansas, creating the highest satisfaction and success rate for our clients along with full season and specialty hunts meeting the needs of our hunters. 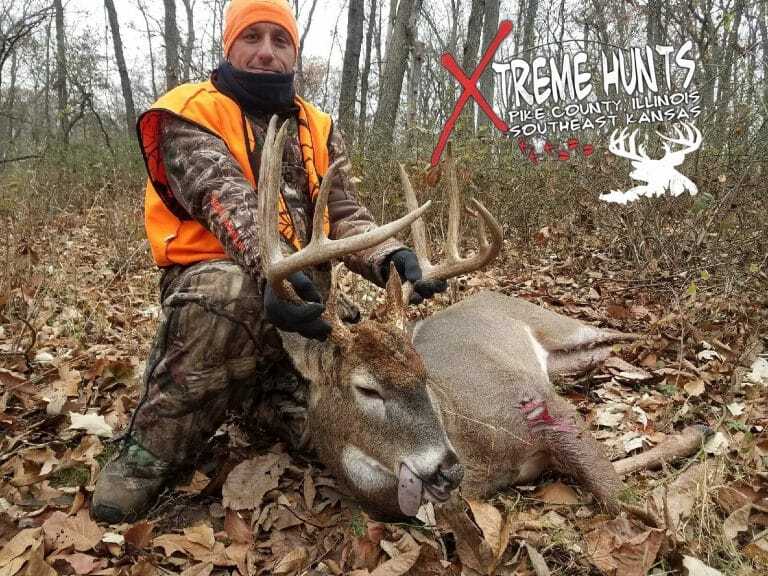 Xtreme Hunts also offers specialty hunts for youth and female hunters. 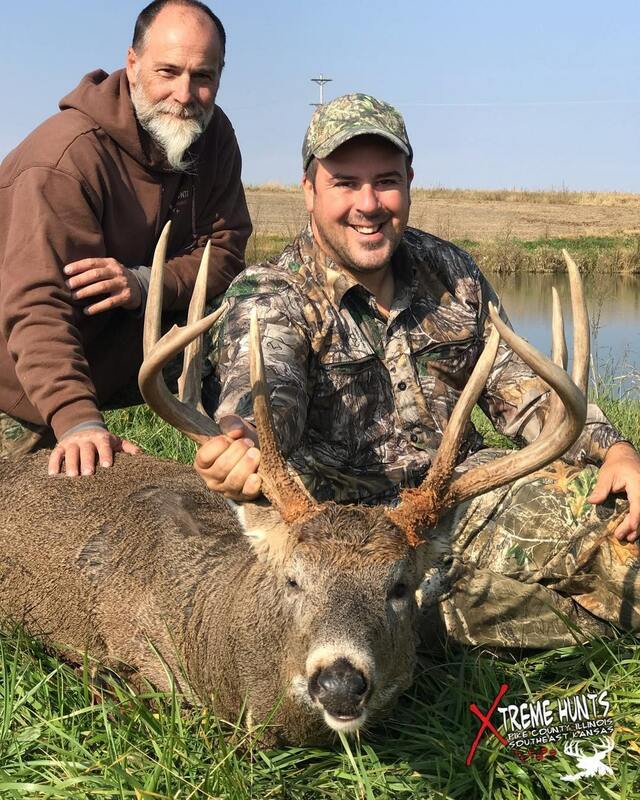 Stands are pre-hung in pre-scouted areas ready to hunt the first day of your hunt with ladders, lock-ons, and ground blinds available. 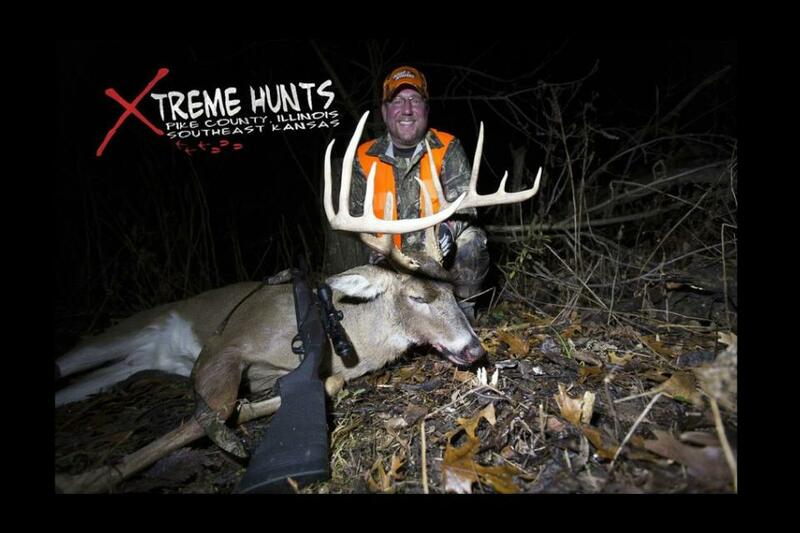 Xtreme also hunts Kansas, Bow Hunts and Rifle Hunts are typically 5-day hunts. 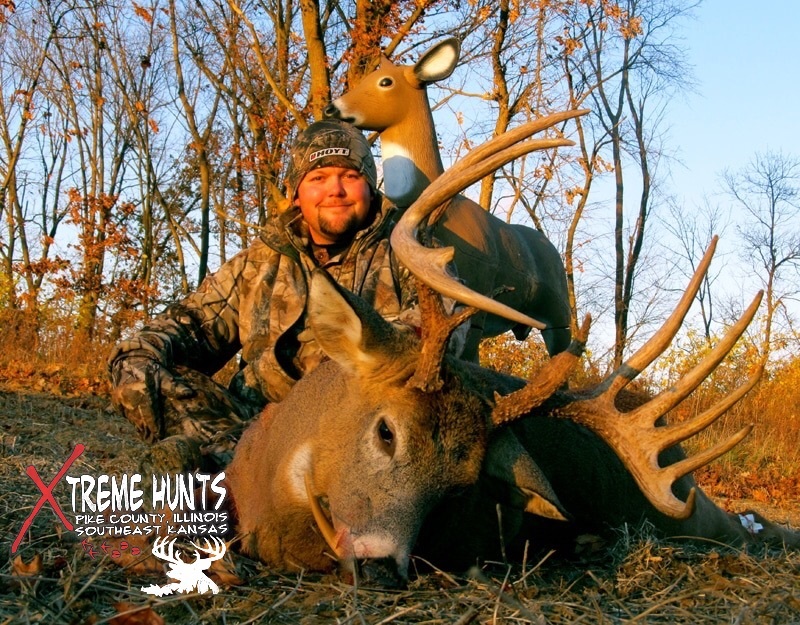 All Kansas hunts are fully guided and include your lodging and home style meals.